Sadly, there was going to come a time when we would have to hear one of the greatest worship groups of all time in Christian music say, "Farewell." 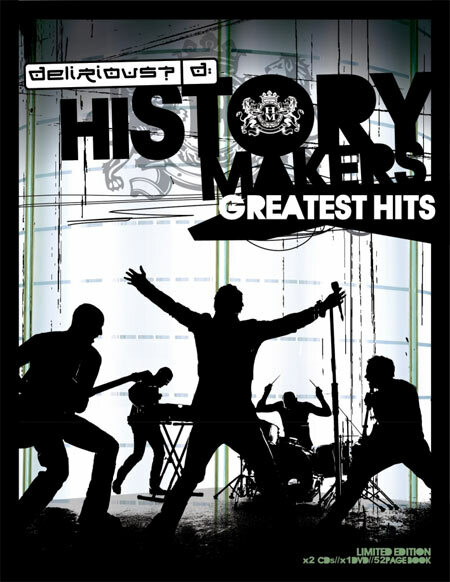 After 16 years of internationally touring and writing music, Delirious release their last project, titled History Makers: Greatest Hits. The GRAMMY-nominated and Dove Award-winning band has captured the hearts of millions around the world, with worship classics such as "Shout To The North," "I Could Sing Of Your Love Forever," "My Glorious," and "Did You Feel The Mountains Tremble." In this final collection, you will find all of these songs, plus more. In addition to the Greatest Hits disc, they have compiled a Limited Edition two-CD, 31-song collection and a DVD featuring all 13 of Delirious' music videos. There are plenty of extras in this limited edition that capture the work, art, passion, and all the smiles from over the years. A four-minute clip includes wonderful behind the scenes footage of the band during a few of their most exciting music video productions from the past decade. A true, long-time fan would have already heard these great songs, but to have this final collection is definitely worth it. However, I must recommend the limited edition package, not just for long-time fans of Delirious, but for anyone. The second disc alone contains a lot of their more upbeat songs that must be shared on a greatest hits album. So even if you already have every single American released album of theirs, go ahead and spend the extra money on it. You'll probably never find something like this from Delirious again!